You must make reservations at least 5 minutes in advance of the time at Black Olive. The Black Olive is a Psarotaverna which is a Greek fish tavern set in the historic Baltimore neighborhood of Fells Point. 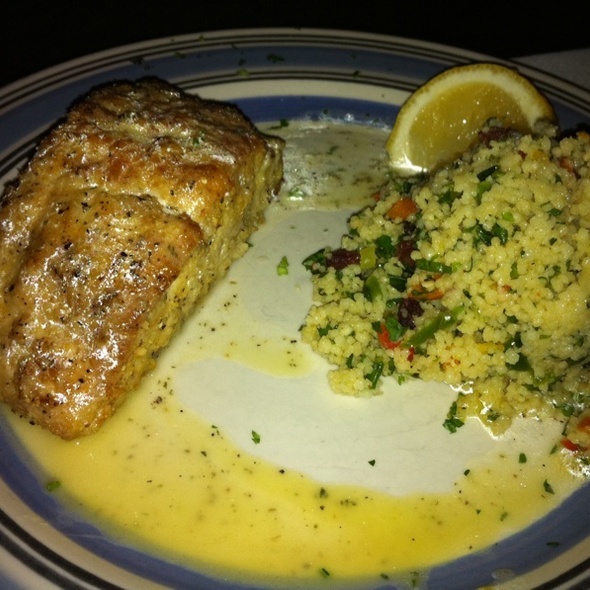 We specialize in Mediterranean seafood such a whole fish; grilled and fileting at tableside. 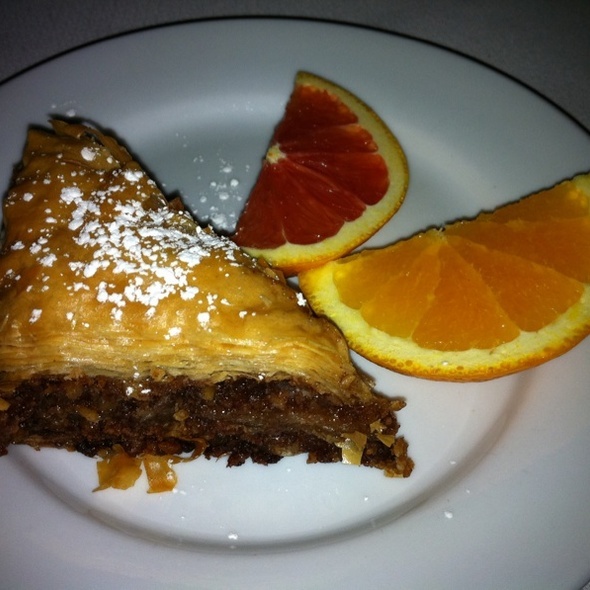 We also offer traditonal Greek dishes, housemade breads and desserts. Enjoy signature items such as our Village Pie, Grilled Octupus salad, Rack of Lamb ,grilled Filet Mignon or our fresh Dover Sole prepared to your liking. Pair your entree with international wines carefully selected by our sommelier ranging from California, New Zealand, and showcasing beautiful small vineyards from Greece. Terrific seafood! Fresh, expertly prepared and so tasty! Yuummm! Felt very personal. Like you were in a small local restaurant in a village in Greece where the owner/chef invited you in. Service was attentive and warm. Food was delicious. We enjoyed our evening! Fabulous Sea Bass, as always! Only complaint is how many items they were "out of". Even basic cocktail ingredients were unavailable. Great quality food and unique menu. The seafood was excellent. Loved the stuffed calamari and grilled octopus salad. We go there for the whole fish offerings. They are delicious and so fresh. The service, the cocktails and wine offerings are excellent,too. Second time there this month. Great place to entertain out of town guests. Unique food, fabulous ambiance, personal service. Lovely experience. Food was fantastic and high quality! Had to knock down a star for very slow service. Our appetizers came out at the same time as our meal and other tables around us were served drinks and meals before our cocktails even came out. Overall would try the restaurant again because the food was great and the wine selection was awesome. Great little spot in Fells Point. Excellent food at a good value. You would not be disappointed having a date here as it was a nice atmosphere. Hands down one of the best experiences we’ve had in a very long time. Our server Shoshana was incredibly personable and made such a difference. 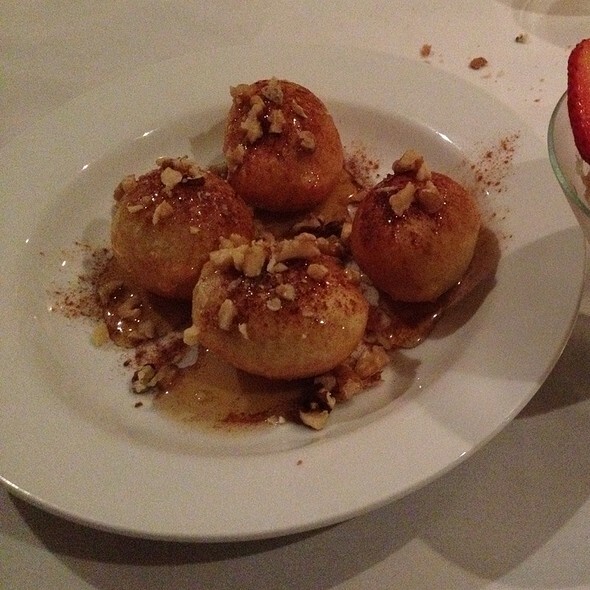 If you want personal attention with phenomenal food and wine choices, The Black Olive is your spot. Everything that we ordered from the menu they were out of. The Black Olive has had their time. Save your money and energy and go to another restaurant. The food was delicious as always. Great fish selection and the crab cakes were delicious. Friends got the lamb chops and raved about them. 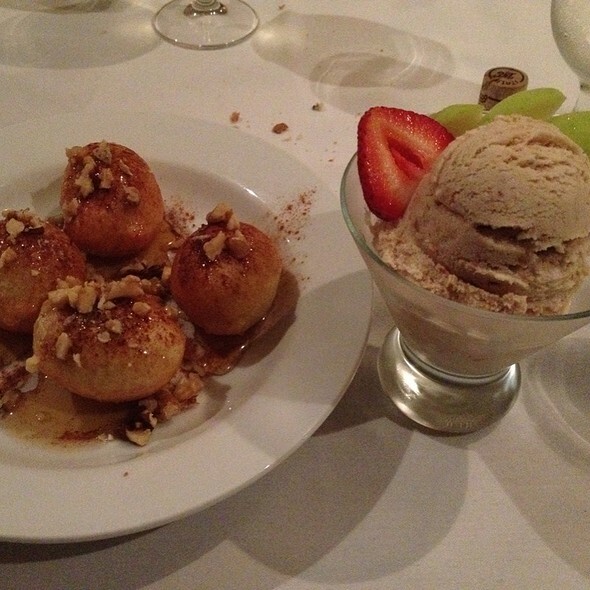 The baklava ice cream is the best dessert in town. Malcolm was our waiter and he was very professional and accommodating! Great place to bring out of town guests. I have brought a number of visiting San Francisco foodie friends here and they all loved the restaurant. Wonderful experience with delicious meal. I have to say I was very happy and pleased with the staff. Very informative on each dish, and reasonably priced. Dinner with family was a lovely experience. Service, ambiance, subtle live music, and a delicious menu combined with great conversation resulted in a night to remember indeed. Our server Aubrey was the perfect guide to the evening. We will be back. I had the bread pudding (no bread) appetizer, the lobster pasta and a nice Merlot. The service was attentive. The setting and food made for easy conversation and laughter. Perfection. Top notch octopus, scallops, and service. Our waiter was fantastic. Had a great night catching up with an old friend. My wife and I had an excellent dinner at the Black Olive this past weekend. We kept it simple: some wine, a split salad, and an entree each. The wine was an excellent choice (a Santorini Assyrtiko) that went well with both the salad and entrees. 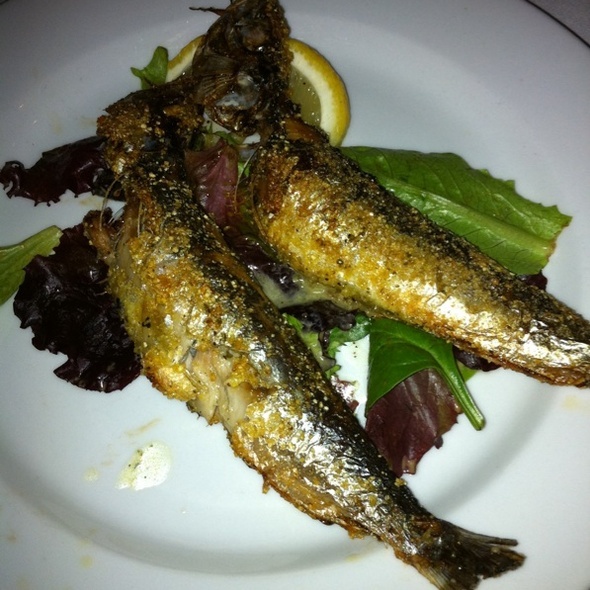 The salad was a Greek Village salad and for entrees I had a Black Sea Bass and my wife a Bronzino. Both were excellent and well prepared. 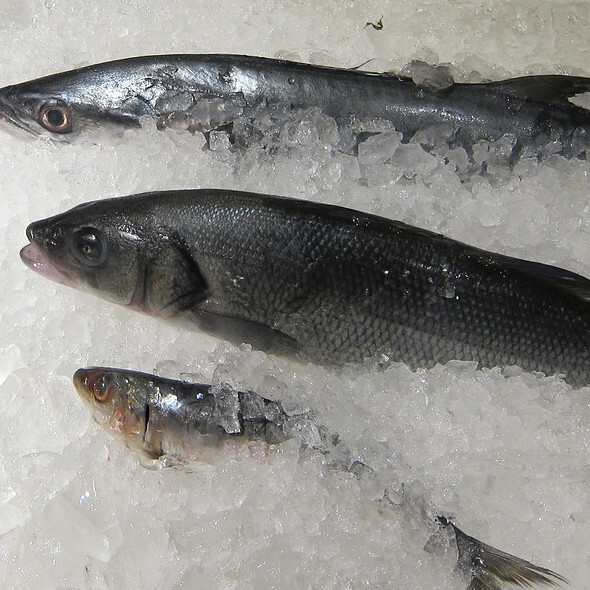 We enjoy the ability to pick out our fish from their "fish store" and then have it prepared and cooked to order. Very nice indeed. Our server was amazing!! I wish I remembered his name, but he was the friendliest guy. Get the grilled octopus salad. You will be blown away. We loved all of our dishes and still talk about them days later. Our standouts are the grilled mushroom small plate, jumbo shrimp, and lamb chops. The Saganaki was amazing. 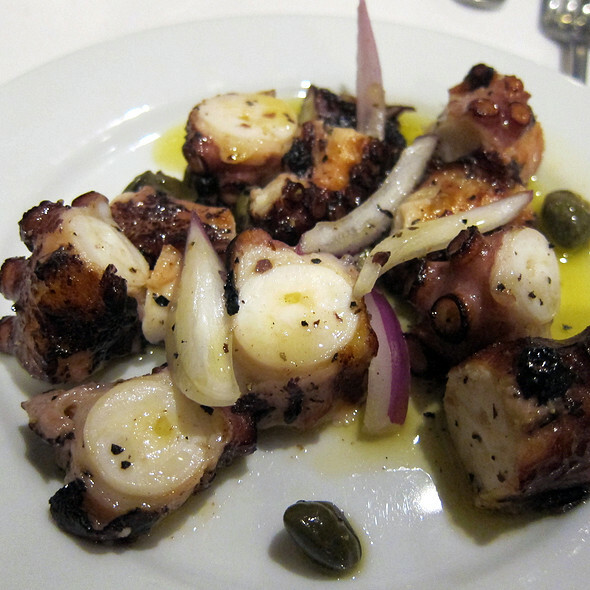 We picked Black Olive as we wanted to try a new (for us) Greek spot in Baltimore. We were dining early and we were seated in a back room where the table was cramped in a corner. I couldn't get in and out of my chair without moving the table. In a nutshell the food was good, not great and the service was absolutely horrible. The staff is untrained and made every service error possible, from poor timing of the meal (we were still eating our apps when dinner came) and there was no acknowledgement of that, just plopped our entrees down, to long periods where we didn't even see our server. After they plopped our entrees down, they left all the bread and bread plates and the big, eventually empty appetizer tray in the middle of the (small) table. The wine was never repoured. The appetizer plates were eventually cleared . We ordered dessert. The table was a mess the entire time and the server brought the check with dessert then literally deserted us! We had to call his name to get his attention so we could pay. Yikes! Rarely have I had such poor service from a restaurant that has been in business for so long. 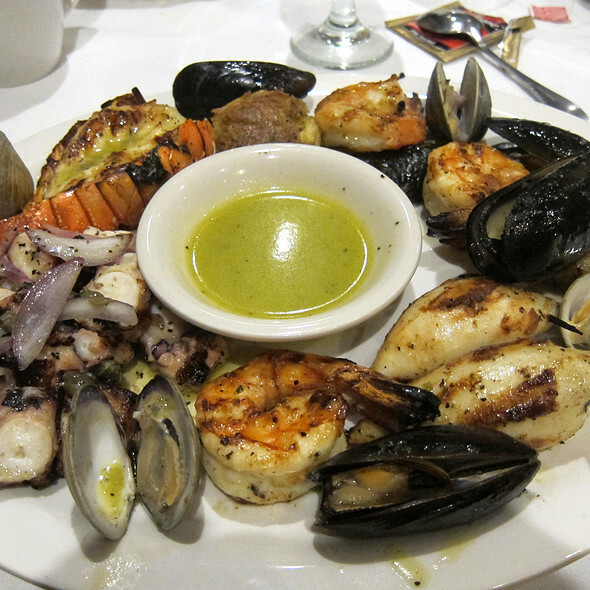 The Greek and seafood dishes were all wonderful; our group of 8 shared a variety of menu items and everyone was pleased--except the two who ordered the filet mignon. Apparently, not a good choice! Our server was wonderful. Unfortunately, he wanted to bring us a complimentary birthday dessert, but we had paid the bill and were all ready to leave before that was ready. And, we were next to another table of 8 who were a very noisy group--again, not the restaurant's fault. So, I would recommend the restaurant highly for its Greek and seafood items, and try not be seated next to a noisy group! 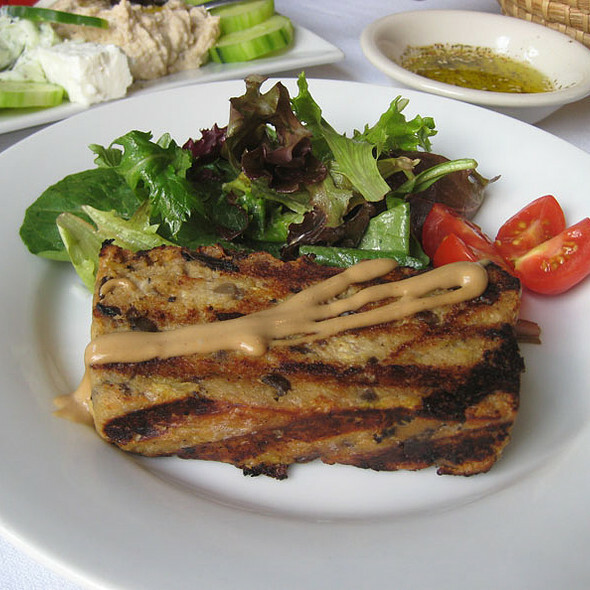 My husband, a friend and I had (for the 2nd time) the most wonderful lunch at the Black Olive. Nothing could have been better. A beautiful restaurant, great food, excellent price, wonderful service. It must the at least one of the best, if not the best, restaurant in Baltimore City - or in many cities for that matter. Every dish was delicious, and the cocktails were outstanding. Great recommendations, too from the staff. Highly recommended! Great find. Service was a little slow but the food outstanding. I would not return to Baltimore without dinning here! Always great and fresh food. Great flavors! We live this restaurant. They showed us the fresh fish in the case and I chose fish and my husband loved his Greek dish of lamb and cheese cooked in parchment paper. It was delicious also. The owner was so welcoming and very helpful when I realized I had left my phone in an Uber. We can’t wait to go again. Our server was new but unobtrusively attentive. We tend to forget about the Black Olive since it is just down the street but the food is unexcelled anywhere in the Baltimore area. The wine list is also exceptional with lots of interesting and inexpensive choices, especially the Greek wines. We will be back for another special occasion. Only next time, we won't fill up on the delicious bread and olive oil first! We did not have room for dessert. Sigh. What a terrific place. Superb seafood. Quiet unassuming and one of best places i have been to in Baltimore. This is a very cozy spot on a charming street in Fells Point. They specialize in fish which is impeccably fresh and simply prepared on the grill and served with an emulsified olive oil and lemon dressing. My wife and I had a whole black bass which was expertly filleted tableside by our waiter who was very attentive, knowledgeable and pleasant. It was accompanied by very nicely roasted cauliflower florets. We started with one of the best grilled octopus salads I’ve ever eaten. They have an extensive wine list. We had a minerally assyrtiko white from the Greek island of Santorini that married perfectly with this kind of cooking. All in all an excellent experience. The food was fresh, wholesome, healthy, tasty and beautifully prepared. We felt we were back in the Greek islands. While our salmon and Bronzini was cooked satisfactorily, it was nothing out of the ordinary. The bread delivered to the table was fantastic, a rustic loaf which was perfect with olive oil. The Village Pie was okay but $18 is a way overpriced appetizer. Dessert was the carrot cake, rather flat slice with coconut on the cream cheese icing. It also was just okay, we had far better desserts elsewhere. Service was great ! Over priced, moderate portions, excellent fish. Side dish to entrees didn't work. Wine list was over the top exotically over priced and too out of reach for the average diner, we had a bottle of $45 California Chardonnay. That was the lower priced on the menu. It was almost ok. Very disappointed overall. I have been there frequently, but will not return. From a 35 years in food service chef/owner. It is simply the best from the people, service, food, etc. Impeccable! The place was about 80% full, but the service was still very sparse (though cordial). You needed to grab your waiter to get his attention. places to we could enjoy St Peter's Fish, for instance. The fish that were available were perfectly prepared, and a joy to eat. I just wish they could provide pita bread with their baba gannoush.